Book Trained & Skilled Workers in Weybridge Now! Receive professional handyman services within the area of KT13 from trusted local tradesmen. Why worry about all those little tasks around your property when you can simply get in touch with us & receive reliable services. Moreover, the technicians we work with carry all the right tools & equipment to tackle even the most challenging household repairs. In addition, our services are pretty reasonably priced bearing in mind the high quality of services we strive to provide. We value our customers and this is why we always try to exceed their expectations. Our lines are always staffed, so don't hesitate to contact us! Every handyman Weybridge carries public liability insurance. We always strive to leave 100 % satisfied customers. Professional Equipment The handy team is fully - equipped with the most modern tools & materials. No Job Too Big Or Too Small Whatever the task is, don't hesitate to contact us. No household repair exist that scare a handyman in Weybridge. 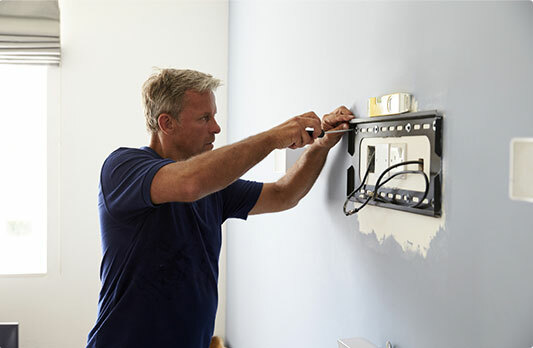 Skilled Handymen The handy team consists of professionals with a lot of in-field experience. 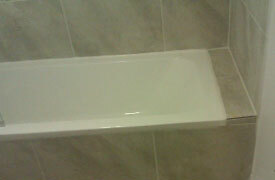 The service includes tiling, grouting & re-sealing. Receive the bathroom of your dreams completely hassle-free. 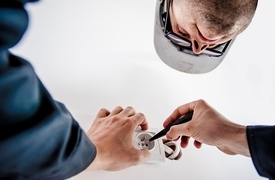 From small tasks to big electrical issues, we can do it all! 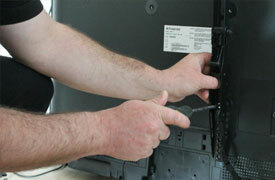 We mount television sets of various sizes safely & expertly.